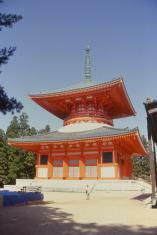 This is a short index of some of the travel pictures that I have put on the web. A couple accompany slide shows given to the local Sierra Club chapter. New: A walking guide describing walks around the world (starting with Crete) with GPS way points. There are more pictures from around the world on my landscape art pages, including Corsica. For more information, feel free to contact me by email.